My most memorable Christmas came with a lesson I will never forget. It was one I would refer to for the rest of my life that would provide the foundation for my every pursuit. It all began when, as a teenager, I walked into the living room on Christmas Day and found my mother sitting on the sofa, all by herself. For some reason, my father had not come home to celebrate with us. I was sad because of his absence, but I did my best to pretend it didn’t matter. I set out to be strong for my mom and was determined to make this the best Christmas ever, in spite of the awkward and unexplainable situation. 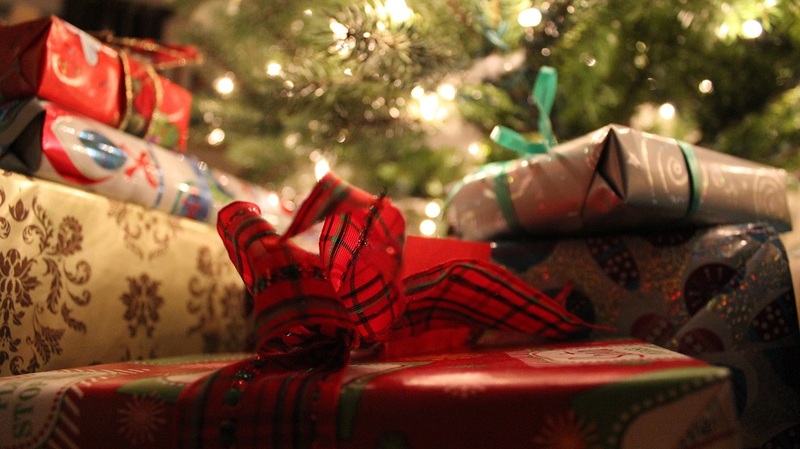 There were beautifully wrapped presents underneath the Christmas tree. So many of them! My mom knew how to make a little bit look like a lot. One year, I received a Polaroid One-Step camera. She wrapped the camera, film, flashes, and batteries in separate boxes, turning one present into four. I love that woman! I sat on the floor across from my mom and she passed one gift at a time to me. I tore off the wrapping paper and set the bow aside to be used for the next year. Then I opened up the box and peeled back the tissue paper. Inside of each one of those boxes, all I found was a small note. On those notes were written what my mother would have gotten me if she only had the money to buy it. She sat there in tears, very disappointed that she could not purchase Christmas gifts for her only child. But what could have been a big disaster ended up being a great blessing in disguise. My mother had every intention of buying me all of the items listed on those notes. There would just be a delay until she got the money to do so. Instead of wallowing in the pity of it all, she did something that completely changed the outlook of the day! She encouraged me to line up the pieces of paper and talk about what I would do with the actual gifts, once I received them. She matched shirts with pants, jackets with jeans, creating a various combination of outfits. She brought hope into a hopeless situation and taught me the power of patience. In every endeavor I’ve pursued, my mother has always told me “Kim, you have to crawl before you walk.” On that Christmas day, we were crawling for sure, but her actions gave me hope that one day we would walk. It taught me that our hearts’ desires don’t necessarily come when we want them to, but if we can dream, be patient and persevere, it will be worth the wait. The gift that wasn’t turned out to be a gift after all. A greater gift of dreaming, patience, perseverance and ultimately, hope.